Cape Town - If the unthinkable is going to happen, and presently inconsistent Kaizer Chiefs be hauled in at the top of the Absa Premiership table, it may not be evident in Wednesday’s latest challenge for them. Smart money suggests they will have the measure of lowly Moroka Swallows ... even if champions Sundowns continue their sprightly, fairly free-scoring form by seeing off Chippa United. 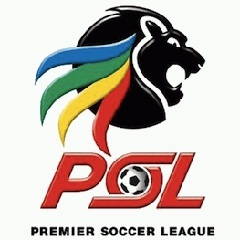 Regularly during the PSL season, a panel made up of compiler Rob Houwing plus Garrin Lambley, Raymond Silinga, Earl Haupt, Wade Pretorius, Tashreeq Vardien and Maano Nekhavhambe will attempt to hit the right buttons in forecasting a bunch of the most attractive games on paper. We will keep a season-long leaderboard showing who is prospering and which poor souls are floundering: three points for fully correct scoreline, one for right result. The Birds lie second from the bottom, with a still comfortable five-point cushion over AmaZulu, but will be all too aware that the basement club have been fighting hard in recent weeks to lift themselves. So ideally Swallows want to get something from this difficult home fixture against glamour club and leaders Chiefs. For their part, the Amakhosi have lost some lustre of late ... but it doesn’t prevent a full house of our tipsters backing a victory for them: not one of us even envisages a goal for the underdogs. The visitors for this tussle aren’t quite as, well, chipper now as they were much earlier in the season, when they rode commendably high on the log. Since then they have receded markedly, not having tasted victory in a tally of league matches that has now reached double figures! Unsurprisingly, then, our panel are unanimous on this one too: champions Sundowns for a third triumph on the trot, with Tashreeq and Maano even expecting a near-rout. The Brazilians, remember, have netted seven times in their last two PSL games without leaking. Aces won the first-round clash 2-1 back in October, and the mid-tablers go into this game buoyed also by knowledge that they won their last game -- against Swallows – at the weekend. So does that inspire anyone to suggest Pirates will stumble for a second time in 2014/15 against these foes? The answer is an emphatic no, given that the Buccaneers have increasingly toughened their act as the season has progressed and moved up to third.